Have you ever had this experience? You’re in your car, on your way to a highly anticipated event – maybe a ballgame or a concert starring your favorite artist – and halfway to the venue you realize you left your tickets on the kitchen table. A wave of panic followed by a sinking feeling in your gut sets in…you have to turn back. At best, you’ll miss the opening act or the first few innings. It can happen so easily, but it’s a situation no fan likes to find themselves in. What if you didn’t have to turn back? 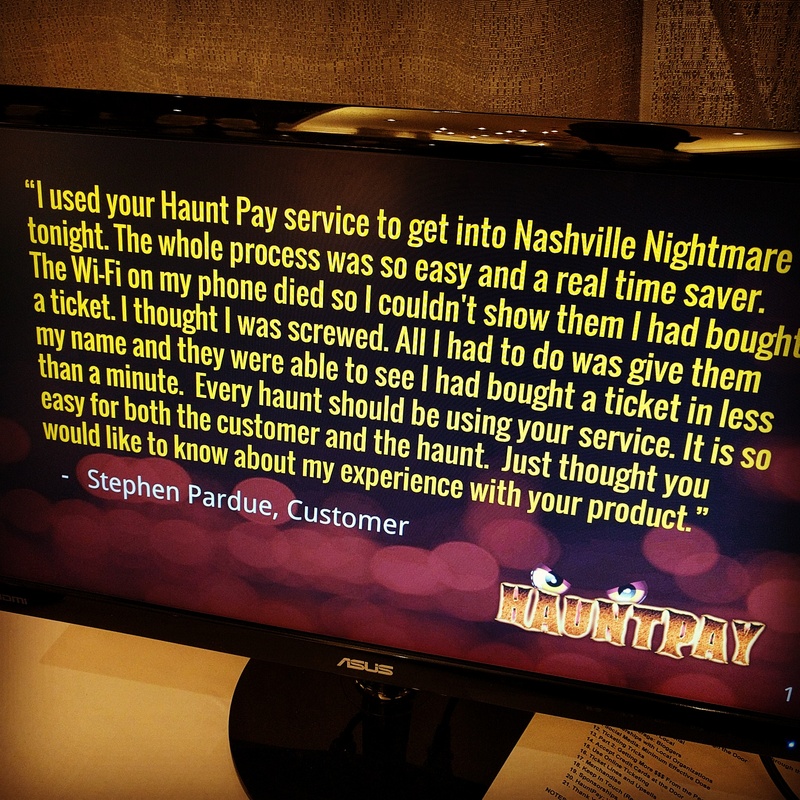 We encountered this dilemma on a recent visit to Nashville, at one of the city’s most popular haunted attractions where we were scanning tickets. A guest walked up to the entrance in a quandary: he had wanted to show his (scannable) ticket on his phone, but the battery died on his drive over. Rather than sending him to the main ticket office, to speak with a manager, or trying to find a charger to reboot his phone, we were able to confirm his ticket purchase and get him checked in, in under a minute. We hear stories like this all the time – it happens more often than you’d think. A customer’s phone dies while they’re waiting in line. They drop their ticket in the mud, in complete darkness. Or they just plain forgot to bring it. No one wants to turn away a paying customer, but you probably don’t want to admit someone who didn’t really purchase a ticket either – how can you be sure? The good news: there’s an easy solution, and you already have it on your Passage Manager app. Guest List Mode solves the dog-ate-my-ticket dilemma. It allows you to quickly look up a ticket purchaser by name, admit them to your event or attraction, and mark their ticket as redeemed. The whole process takes just a few seconds, and you’ll still get the same great analytics on your dashboard counting their ticket among those redeemed for your event. 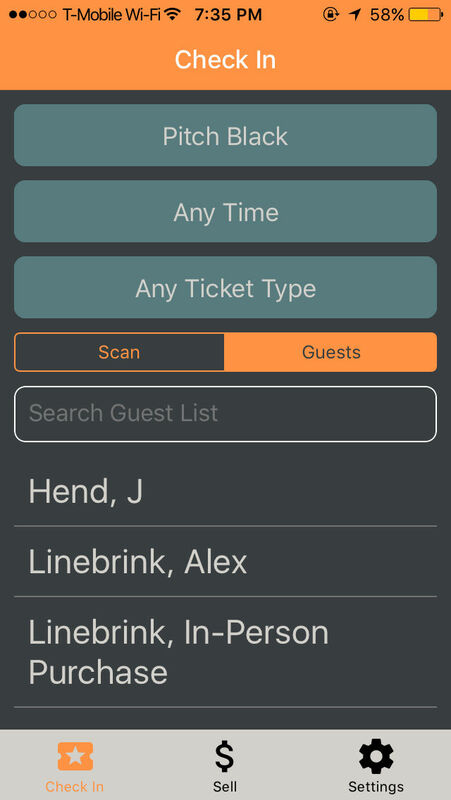 Step1: To access the guest list, first log into the app and select “Check In” from the options at the bottom of the screen on iOS. Step 2: Tap “Guests” and make sure its box is highlighted orange. Guests associated with the event, timeslot, and ticket type settings you have selected will be listed in alphabetical order. 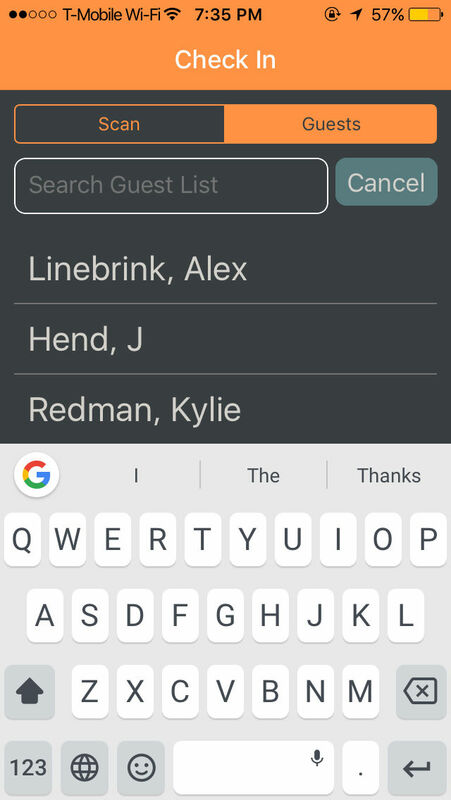 What makes Guest List super handy is that you can use the search bar to quickly find a customer’s name. Just start typing in the first few letters, and their name will jump to the top of the screen. 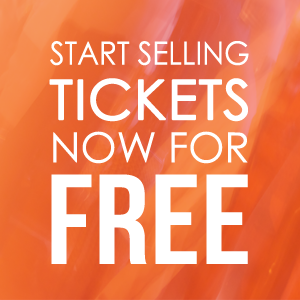 Step 3: Tap on the customer’s name to display all tickets and products they have purchased for the event. Step 4: Click the toggle button next to an item to redeem it. Accidentally redeem an item? Just tap the slider button one more time (back to the left) to make it available again. You may ask customers to present photo ID when you use Guest List for an added layer of security. That’s it! When you’re done redeeming for that order, click the back arrow to return to the Guest List.